Listening to Sebastian Fagerlund’s symphonic music is like taking a long hike along Nordic nature trails or a breathtaking ride down from a rocky mountain while remaining in the safety of a concert hall chair. The Finnish composer is a master of large orchestral works, and the performance of his Clarinet Concerto is especially anticipated – the soloist will be the excellent Guntis Kuzma who is renowned for his flawless proficiency with the instrument and deep immersion in the music. Symphonic scope and heated musical character can be also ascribed to Richard Strauss’ timeless “Metamorphosen”, written in the war-scorched Europe. 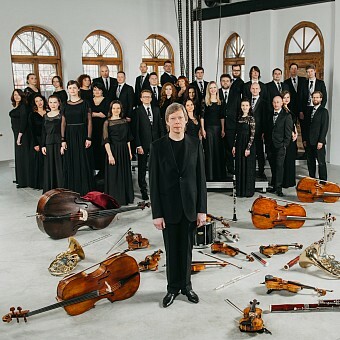 Along with these German and Finnish masters – a new work from the Latvian composer Ruta Paidere – addition to the ever-growing collection of chamber symphonies, commissioned by Normunds Šnē and Sinfonietta Rīga.